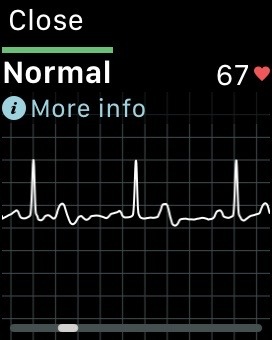 Previous PostAre You A Victim of Excessive Daytime Sleepiness?Next PostKardia’s Fascinating SmartRhythm For Apple Watch Is Very Cool: Will It Allow Personal Atrial Fibrillation Detection? Assuming money is no object, is the Smart Rhythm feature worth the upgrade from the original Kardia device? Looks neat, and I have the watch already. 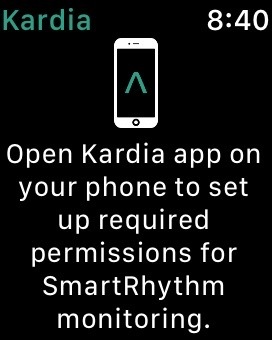 Note that you do not need to purchase KardiaBand hardware to use SmartRhythm, it is a premium feature that can be used in conjunction with KardiaMobile OR KardiaBand, as long as you have a compatible Apple Watch. to understand how it will work without Kardia Band. I can’t answer that question yet. I just got my KardiaBand for my series 3, non-cellular Apple watch which I use with an iPhone SE. I have not previously used any monitoring device so did not receive any weird messages in setting up. One does need to go to the Watch app on the phone, tap ‘my watch,’ and set the Wake Up (under General) to 70 seconds. 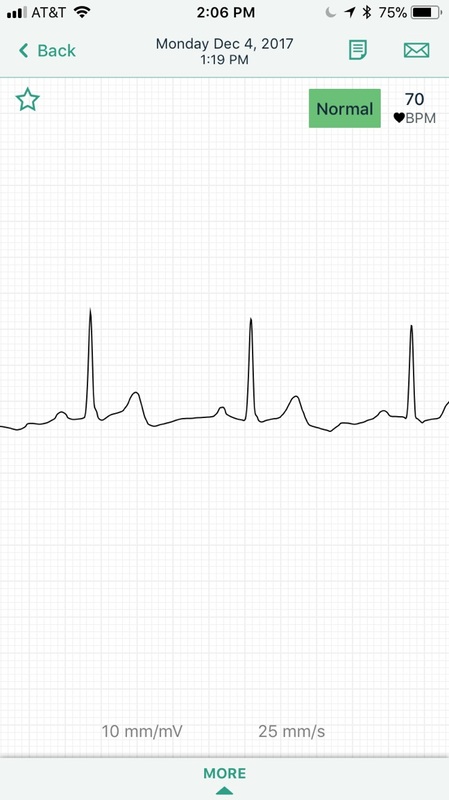 My first EKG was successful, and I should get the results of the free evaluation tomorrow. I’m one of those asymptomatic afib patients who has experienced heart failure, so I really hope this device will help me and my cardiologist determine when I’m not in normal sinus rhythm – no heart failure for over 2 years and I’ve been off antiarrthymics since January. Walking over 1900 miles in the past 19 months has probably helped. Great blog! My cardiologist got my patient referral to it yesterday. Thanks for the review. I had a heart attack a couple of years ago and had a stent installed. My question, is this something I should get and that would give valuable information or is it better suited for folks with atrial fibrillation? Thank you for this very informative blog and great review of Kardia Band! You’re my new “heart hero” as I love your practical advice & no-nonsense approach to heart health! 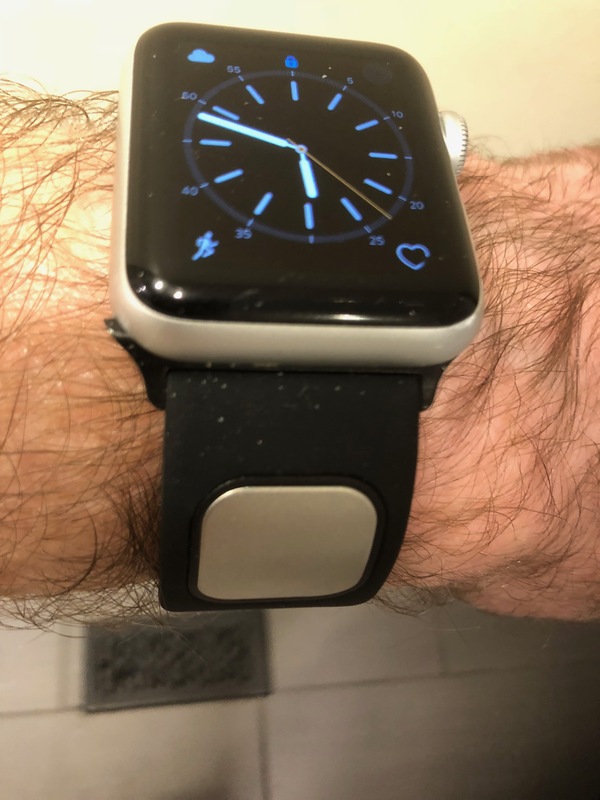 I just received my new Kardia Band for my newest Apple Watch 3 Cellular, and as I have been a longtime Kardia Mobile customer I had no trouble installing the Watch app & getting everything configured. As an existing customer it did not re-run the free analysis. I verified that all Kardia Band features continue to work properly when away from my iPhone for extended periods; now that my Apple Watch has cellular I leave my phone home more often. FYI For those like me who enjoy making a fashion statement with their watch and have multiple Apple Sport Bands, I verified that I can use just the portion of the black Kardia Band that contains the Kardia device mixed with the short snap portion of a regular Apple Sport Band; the Apple Band’s snap securely pops into the holes designed for the Kardia Buckle and the end of the Kardia Band tucks into the slot in the Apple Sport Band securely. Fashion can now be combined with improved heart health as I can now wear a sporty two-tone band combo of black & yellow, black & green, etc. just like I used to do. I also personally prefer the ease putting on my watch using the Apple snap instead of the Kardia buckle. Allen, Thank you for your kinds words. I’m glad to hear that you had no trouble installing the Watch app and getting configured. I had’nt tested the watch away from iPhone so I’m happy to hear that the Kardia band retains functionality. I assume that means you can make a recording of an ECG and that SmartRhythm continues to monitor things. I am smiling, because I thought I was original with the two toned band😉. The clasp on the kardia was difficult for me to handle as I am a senior lady with a very small wrist. Am also vain and hated the look. The day mine arrived I came off the golf course feeling poorly. In minutes I activated my band and it identified my afib. I took my PIP and monitored all evening easily ( I have essential tremorand it really is bad when in afib and I found the app on my iPhone difficult when I needed it most). I am very happy with it. I am new to afib and very new to PIP with flecainide. Thi device has kept me out of the ER several times in the past few weeks. Lowered my stress if not my afib, but may be doing that too. Just got my Kardia Band on 12/7 & the set up on my Apple Watch series 3 & iPhone x went smoothly. 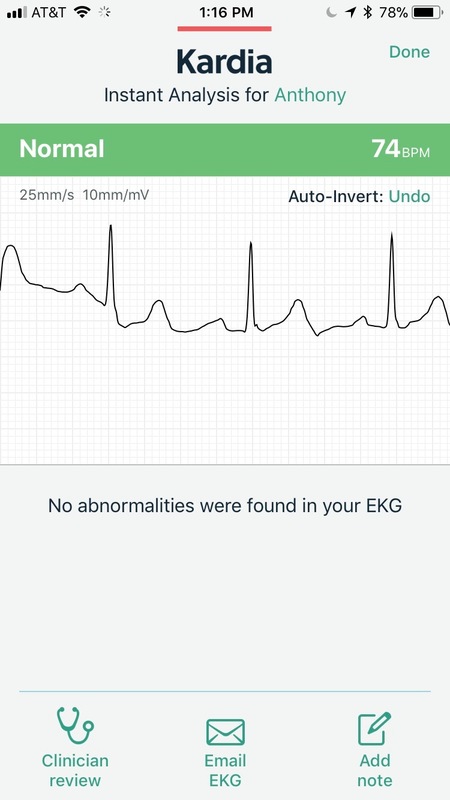 The free initial evaluation of the ECG/EKG by the AliveCor cardiologist revealed normal sinus rhythm – Yipee! I noticed that the SmartRhythm feature leaves the sensors on the back of the watch lit up green all of the time, even when I take the watch off. I am sure this will deplete the battery at a faster rate. By how much will have to be determined over time. Couldn’t figure out how to turn the green sensors off using the app, so I powered off the watch & then turned the watch on again, which turned the green sensors off. If anyone knows how to accomplish this task, let us know.. I am a Physician Assistant & I find the use of my watch in this way to be really useful – exciting actually. Sometimes technology is actually a good thing. I look forward to discussing this device with my cardiologist the next time I see him in April. I don’t have afib, but I am at risk (65yo, type 2 diabetes, hypertension, hyperlipidemia), so keeping ahead of the curve gives me some piece of mind. I accidently discovered your website today, looking for more reviews of the Kardia Band. Well done Dr. P. !!! I will explore the rest of your site soon. Glad the set up was smooth. That seems to be the norm now. I noticed the eerie greenish glow coming from the back of the watch last night when I put it on my bedside stand. Typically I charge the watch overnight and hadn’t previously noticed that. Battery depletion is an issue, it seems mine lasts from about 7 AM to 5 PM with Smart Rhythm running. Apple claims that the series 3 watch has approximately 18 hours of battery life with normal use. So you are getting 10 hours with the SmartRhythm running. That surely is an issue, but that won’t stop me from using the Kardia Band. I wonder if the watch should be used while sleeping? You would have to charge it in the morning. I know that the recently released iOS 11.2 for the iPhone is supposed to support faster charging – 5 watts vs 7.5 watts, but it is not clear if faster charging is in the cards for the Apple watch. To answer my own question, I now see that there is a drop down menu in the upper left hand side of the home screen. When you log out, the green sensor lights go out. I don’t see that. To what home screen are you referring? The main screen that has the photo of the mobile device, that is followed by the categories: ECG, Smart Rhythm, BP. The upper upper left corner shows a link button that consists of a box comprised of three horizontal bars. Click on that & you get multiple actions you can take. The bottom choice is Log Out. Several seconds after clicking Log Out, the green sensors on the Apple Watch will turn off. I’m very interested in this especially as I’m wearing a monitor for thirty days at this moment. I enjoy being able to check my heart rate with my Fitbit but feel I need something more advanced after a heart sticking/restarting it episode back in Sept. But, am I reading this correctly that it is not available in my country? Help please. Thanks. Thanks for sharing your time and knowledge with us on this site. I am an AFib patient who had an ablation a year ago and have since gone into AFib occasionally (several months in between incidents). I was using the Kardia Mobile device and am grandfathered into the Premium Service. 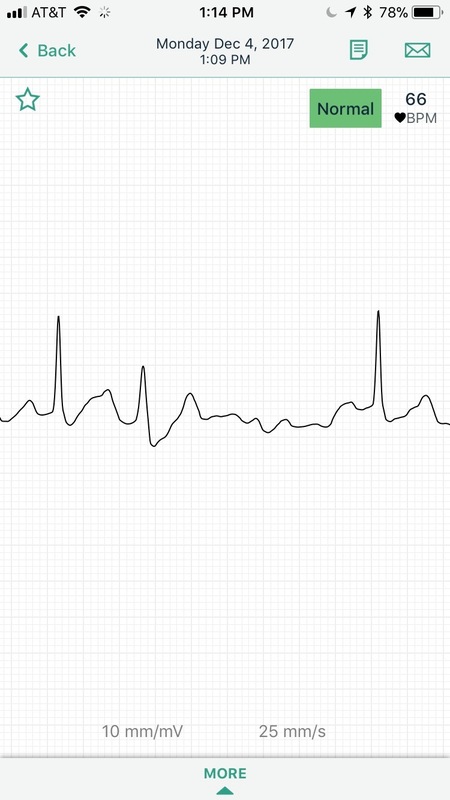 I use the Kardia app on a regular basis to take ECG’s as needed (usually upon waking) or if I go into AFib. I also have the Apple Watch 3 monitoring my BPM and set it to give me a notice when it exceeds 100 BPM. I just started using the Apple Watch 3 with the Kardia Band and wanted to take ECG’s as needed like I did with the Kardia Mobile device. I’m confused about the setup and I’m trying to see if you can turn the Kardia app on and off if you did not want full time monitoring. 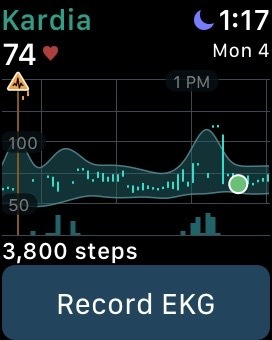 In other words, I’d still like to use the Apple Activity app on a full time basis and turn the Kardia Band on to take a reading when I feel the AFib kick in or get a notification from the watch that my BPM’s haver exceeded the threshold. Any suggestions other than logging in and out of the Kardia app on the iPhone. 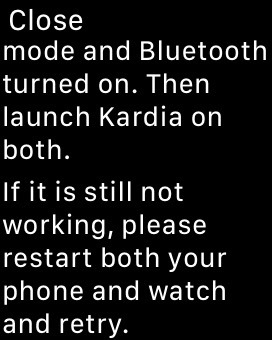 I thought there was an on/off switch in the Kardia watch app, but that may have been limited to the initial setup. I found an answer to my own question. If you are in the Kardia app on the Watch 3, a hard push on the face of the watch will get you to settings and then you can toggle SmartRhythm Monitoring off. If you toggle SmartRhythm Monitoring on, the Activity app thinks you are exercising which will be reflected in your Exercise Ring until you turn it off. In my case II’ve been turn it on, take a Kardia reading and then turn it off. I get a minute added to my Exercise Ring for each Kardia reading but I can live with that. If I go back into some serious AFib, I’ll turn on the SmartRhytm full time and not worry about the Activity app. Excellent information! I just pushed hard on my watch 2 and found the settings. Did you discover this by reading the information manual more closely? That is something I never do properly. I too, am good at quickly stumbling through manuals. I recalled a series of check offs while setting up the Kardia Band app which advised use of the SmartRhythm required the watch to go into the exercise mode. The Alivcor web page has a detailed FAQ for all of their products and the app which also led to this discovery. I also learned that the hard push is called Force Touch in Apple speak. It adds another control dimension to various apps…another thing to consider while stumbling. I shall have to try the Force Touch on some of my other Apple Watch apps! I currently use the device that I carry around in my pocket. I’ve had it for about 20 months. I wasn’t aware about this watch setup. 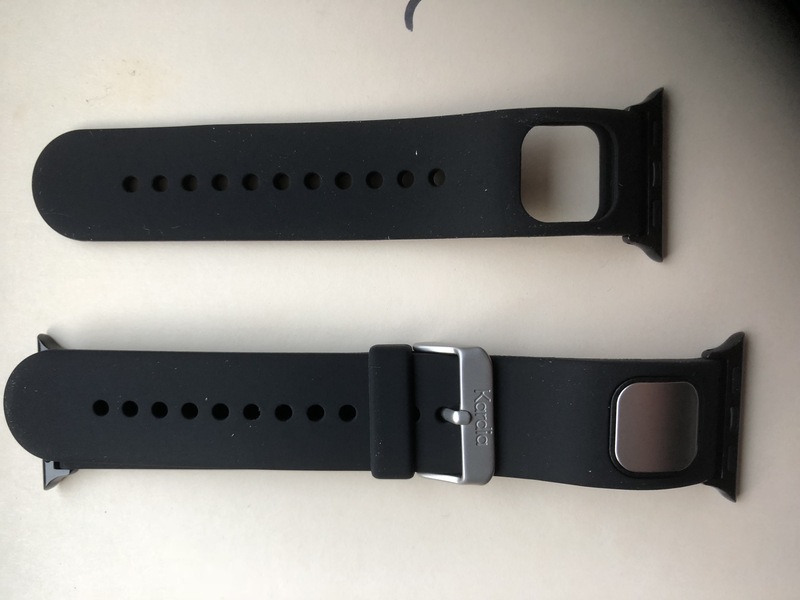 Given that I have an Android phone versus an Apple phone does it make any sense to get the watch and kardia band or does the watch interface with the phone? Thanks in advance. Apple Watch and Kardia Band do not work with Android phones. I found your review of Kardia Band to be very informative. Question: if I disable all of the email, text and phone notifications, will the Kardia Band notification, which I understand to be a “ping” sound and a message on the screen, still work? I asked Kardia customer service and they were unable to answer my question. I want to wear the band while sleeping, but I don’t want to be notified of texts/calls/emails through the night. Thanks very much. There is a night sign on your watch you can set up to turn off the night pings. I use mine at night because I wear my watch to check my rate sometimes when I awake. Also finc the flash light lights my way to the bathroom without turnin on any lights…safe and not disturbing to my husband😊. Stellar write up, sir. Personal biotech is getting very, very exciting. Although I don’t have the Kardia watch band for my Apple Watch, I do have the Kardia device that works with my iPhone. My question is, does the band error when palpitations are exceeding 100 – 200 bpm? I have found this to be true of the Kardia device. The Kardia device will record accurately your ECG if your heart exceeds 100 BPM. However, unless the rhythm is atrial fibrillation it will interpret it as “unclassified”. Does it work when the iphone is off???? It works with your iPhone completely powered down. The strap is not significantly better at recording the ECG with an episode of palpitations. It is more a matter of logistics/convenience. If you consistently wear the watch then you will consistently have the Kardia watch band device to record the rhythm at the time of palpitations. On the other hand if you consistently have the Kardia mobile device (the bar as you term it) with you (say attached to your phone or in your purse) then the watch provides no advantage. Thank you for your reply. We bought the mobile and she has had a free unclassified readings and one AF in a week. Sent the readings to her GP. Waiting to hear back. Is it worth paying for a second opinion from kardio? Any thoughts would be really helpful. I don’t have a good feel for the accuracy of the readings that Kardio provides. I have been sent several inaccurate readings from readers but this is likely a skewed sample of the overall accuracy. I have both the Kardia wrist band and Kardia bar devices. I’m pleased with the wrist band device although I had to upgrade my 1st generation iWatch with the latest iWatch because the Kardia app ran my first watch’s power down by mid-day. I find the wrist band device excellent for tracking my heart palpitations. It is much easier to use than the Kardia bar. My cardiologist recommended this device. I haven’t signed up to the subscription service , I understand you have to with the strap version- is this correct? Many thanks. Yes. 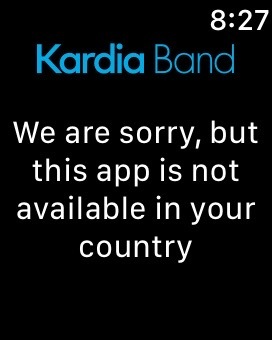 Premium Service subscription is required to use Kardia Band. I have a pfo and a bit of mitral valve regurgitation and I am thinking of getting the band. Thanks very much for this review. Discussing closure of my pfo on 23/04/2018 with my cardiologist. I have been humming and haaing about closure because I have been worried about the nickel in the device but I might get another device. I had a stroke back on 09/03/2016. I’ve been on aspirin since then but I want to get off long term aspirin.